The Writer’s Unit #30 Breakfast will be held at StampShow 2013 at a Milwaukee, Wisconsin Hyatt Regency room to be determined and reported in the agenda posted on the APS website. The speaker will be Chad Snee of Amos Press (see following post), talking about Scott's progress in using digital media. Literature Exhibit awards will be presented at the breakfast as well. Menu: Selection of chilled juices, sliced fresh seasonal melon, assorted cereals, scrambled eggs, bacon, potatoes, baked goods, coffee and tea. Click here to purchase tickets on the APS website. Chad Snee of Scott Publishing will be the Writer’s Unit #30 Breakfast speaker at StampShow 2013. While Scott Publishing’s main focus remains with the printed catalog, he plans to describe the digital publishing efforts of Scott as the publisher begins to provide applications for the many digital platforms in today’s world. Chad started his career in the philatelic press when he joined Linn’s Stamp News in the spring of 1999. He continued there for about seven years as a senior editor specializing in U.S. definitives. He also wrote the monthly feature Dollar Signs about high value U.S. stamps for about five years. There was a break in his career when he was called up to the Navy Reserve in 2006 and he served in Afghanistan from about June 2006 through May 2007. On his return to civilian life Chad joined Scott Publishing as an assistant editor. When Jim Kloetzel retired from Scott in 2011 (after serving as the WU #30 breakfast speaker at StampShow that year) Chad stepped into Jim’s editorial role at Scott. Chad was born in Pittsburgh but grew up in Northern Virginia. He graduated from Cornell University in Ithaca, New York and while living in Ohio obtained an MBA from Wright State University in Dayton, Ohio. Chad has been married for 21 years and he has three daughters. Philatelically Chad says he dabbles in several U.S. areas and also collects Ireland. His mother’s brother inherited a stamp collection and helped Chad get started with his own collection when he was a kid. Hall of Fame Chair Dane Claussen and members of the committee have chosen, and the WU #30 Council has duly elected, four major figures in philatelic literature for 2013. These are Diane DeBlois, Anthony “Tony” S. Wawrukiewicz, the late Fritz Billig and the late J. Kevin Doyle. These inductees will be honored on Sunday August 11, 2013 at the annual Writer’s Unit #30 breakfast during APS StampShow 2013 in Milwaukee, Wisconsin. Diane DeBlois has a graduate degree in education and was a stranger to philately until partnering with Robert Dalton Harris in 1979. As a writer and editor in other fields, she was most keen to have him restart the ‘house organ’ of aGatherin’ – P.S. A Quarterly Journal of Postal History – and she took over as editor with volume II in 1980. Her first article appeared in whole number 5, mapping the mail route described in an 1858 poem by Benjamin Brown French. This was followed, in whole number 6, with her first major research article on the Collins Overland Telegraph. Over the rest of the run of P.S. 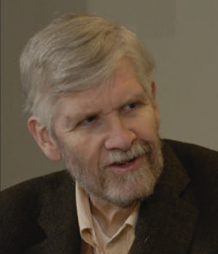 (to 1993) DeBlois coauthored many of the research articles. 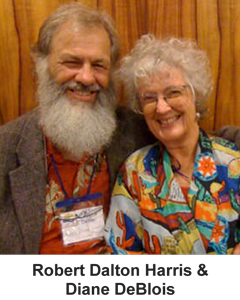 In 1994, she and Harris began to co-author articles for U.S. Stamp News (at least 17 published 1994 to 2007), and in 1996 they began a monthly column for Stamp Collector (at least 80 published to 2004). 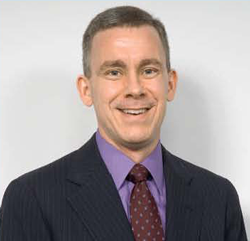 DeBlois also contributed 5 articles to Scott Stamp Monthly in 1999 and 2000. When Harris produced the telegraph section for the American Stampless Cover Catalog (Volume III), DeBlois produced the maps; as she did for Harris’s “Kentucky: The Mail Runs Through It” for Postal History Journal 111, October 1998. Together they wrote “Crossing the U.S.-Canadian Border with the Electric Medium” for Postal History Journal 105, October 1996. In 2000, DeBlois & Harris took over the editorship of the Postal History Journal, and continue in that capacity. Harris and DeBlois engage in long-term postal history research projects as a team – both involved in the writing, both in the editing. For The Congress Book they produced “1845 Cultural Nexus in Transportation and Communication: Express, Railroad, Telegraph and the Post Office” (2008); “Connections of a Lady Telegrapher” (2009); “Prexies and the Interaction of Color” (2011). In 2008 they won both the C. Corwith Wagner and the Jere.Hess Barr Awards from the American Philatelic Congress. 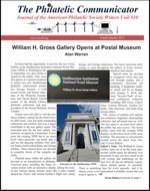 The 2009 and 2010 papers were chosen for publication in numbers 55 and 56 of the Smithsonian Contributions to History and Technology. 2012 “’Special Post Offices; Local Economies and the Postal Network of the United States to 1860” at the World Economic History Congress, Stellenbosch, South Africa. These papers are published on line. DeBlois has also been, for many years and over two stints, editor of the publications for The Ephemera Society of America, an APS affiliate. And she writes regularly on ephemera (often including a postal perspective) for other publications. She would tell you that she is not a collector, but rather is most interested in people’s stories of why they collect, and in helping them write their own narratives. A recent such project was a publication called Geography and Postal History, the product of a course taught at APS Summer Seminar in 2011, with nine papers edited by DeBlois and a piece of her own. Anthony S. Wawrukiewicz was born in 1943 in Santa Ana, California. He is a graduate of Santa Clara University with a B.S. degree, the University of Rochester with a Ph.D. in Astronomy, and he received his M.D. degree from the University of Louisville. He is a 43-year life-member of the American Philatelic Society, a life-member of the Oregon Stamp Society, and a member of the United States Stamp Society and the American Association of Philatelic Exhibitors. He has written two editions of U.S. International Postal Rates, 1872-1996 and its companion U.S. International Postal Rates, 1872-1996; The Forwarding of Mail by the U.S. Post Office Department, 1792-2001; and was a co-author of The 1954 Liberty Series and the second edition of Commonwealth of Australia: The George V Twopence Die I with R.F. Parsons and J. M. Sandy. Since 2004 he has written a monthly column on Modern U.S. Postal History for Linn’s Stamp News, and since 2003 has been editor of the newsletter Auxiliary Markings for the Auxiliary Markings Club. Some awards he has been privileged to receive include the 1998 American Philatelic Congress Diane D. Boehret Award, the 1999 U.S. Classic’s Society The Elliott Perry Cup, the 2001 U.S. Classic’s Society The Stanley Ashbrook Cup, was a signatory to the U.S. Specialist’s Classics Society’s Roll of Distinguished Philatelists in June 2008, and the 2002 Luff Award winner for philatelic research. By vocation he is a physician (now retired) at Northwest Kaiser in Portland, Oregon, where he lives with his wife of 42 years; they have two grown daughters and two delightful grandchildren. Other activities include active membership in St. Clare Catholic Church and on the Board of Directors of a social service agency, Neighborhood House, and Board Chair of the Southwest Community Health Center, as well as gardening and photography. John Kevin Doyle was born in New York City, February 4, 1948 and died in Lisle, Illinois on June 21, 2012. He was the husband of 42 years to Jane and father of son Neal and daughter Meghan. Kevin received his B.S. from the University of Notre Dame in 1969 and M.S./Ph.D. from Syracuse University in 1976. He was on the faculty of Emory University from 1976 to 1981, held a management position at Bell Labs (later Lucent Technologies) from 1981 to 2001, was on the Benedictine University faculty from 2001 to 2012 (promoted to tenured professor in 2008), and was the inaugural recipient of the Kevin Doyle Faculty Award for Leadership in Mission and Catholic Identity in 2012. We knew him as editor of Vorläufer, journal of the German Colonies Collectors Group for over 25 years. He was author of many articles published in philatelic journals in the United States, United Kingdom, Germany, and South Africa. John edited the index to the American Philatelic Congress Books. He also was author of the book Postal Stationery of the Germany Colonies and Post Offices Abroad. 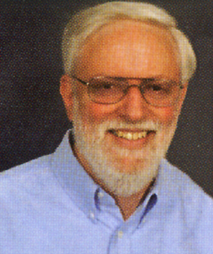 He was a member of Collectors Club of Chicago; board member, Chicago Philatelic Society; Fellow Royal Philatelic Society London; and the recipient of gold awards for literature, American Philatelic Congress Walter R. McCoy award (2003) and John Waldo Fawcett award (2006), Saul Newbury award of the Chicago Philatelic Society (2004), APS national promotion/service volunteer award (2008); and was first recipient of the APS Charles J. Peterson Philatelic Literature Life Achievement award (2011). John was CHICAGOPEX show chairman, an accredited APS literature judge and chief judge, and on the board of directors of Chicago Philatelic Society and the council of the American Philatelic Congress. He and his wife Jane were responsible for the philatelic literature competition at CHICAGOPEX for many years. Fritz F. Billig (1902–1986) was a successful Vienna stamp and philatelic literature dealer who fled to the United States after the Austrian Anschluss in 1938 and continued his career from Jamaica, New York. There he published a successful and long-running series of philatelic handbooks that are still regularly referred to by philatelists today. 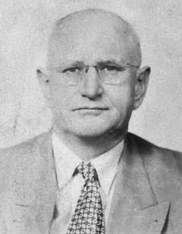 During World War II, Billig temporarily changed his name to Fritz Billings in order to avoid anti-German sentiment current at the time. Prizes won for Billig publications included a Silver Medal at the Jubilee exhibition in Budapest 1934, the Prize of Honor at NABA Zurich 1934, and a Bronze Medal at OSTROPA 1935. From 1945 to 1960, Billig operated an auction firm in conjunction with Fred Rich as Billig & Rich Inc., and then from 1960 to 1977, Billig operated it under his own name. His publications as author or publisher included 44 volumes of Billig’s Philatelic Handbooks, 11 volumes of Billig’s Specialized Catalogues, and 13 volumes of Billig’s Handbooks on Postmarks. The Philatelic Handbooks covered various aspects of the stamps of Austria, Canada, Czechoslovakia, France, Greece, Norway, local posts, and rocket mail. Billig’s Handbooks on Postmarks, published in German through Volume 7 and in English starting with Volume 8, covered various aspects of Austria, Baden, Great Britain, Italy, Japan, Lombardy-Venice, Sicily, Spain, Switzerland, and the United States. In the late 1960s, the firm HJMR Co. of Miami Beach, Florida, acquired and reprinted the Billig Handbooks.